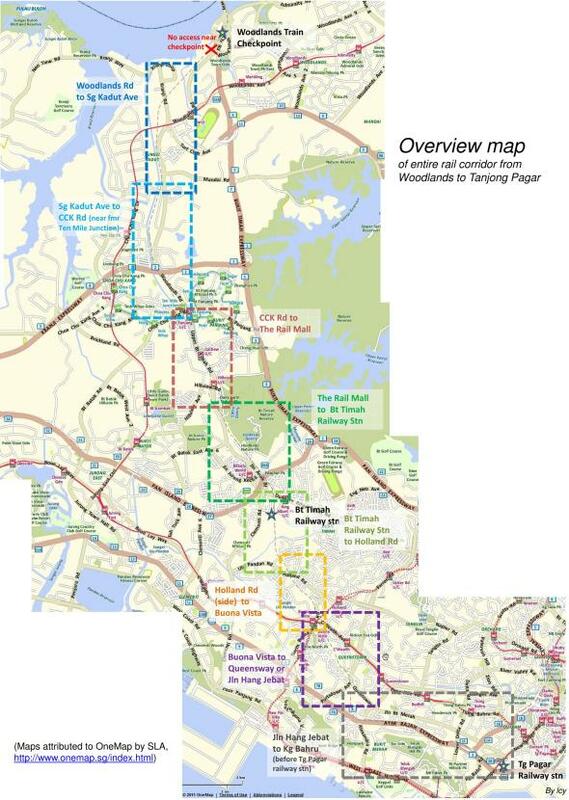 I would like to send my greatest appreciation to C Y Leong for producing the 8 maps on The Green Corridor website. I have printed out every one and have covered 5 of them, with one more still to go – Rail Mall to Bt Timah which is open a bit longer. I have read all the side bits of information and they have made the walk even more enjoyable. I would like to make a suggestion (Buona Vista to Queensway map) re the abandoned building near Buona Vista Drive. An old map of Singapore I have from England shows a branch line going off just about here which I have called the “Portsdown Line.” It extends almost to the present AYE and I think this could have been used by army personnel in the days when British officers lived in this area. It clearly looks like a small station from the other side, with a canopy and a platform. The line would have run through the Wessex Estate up to maybe what is now the Tanglin Trust School off Portsdown Road, but a lot of the route would now be under the One North development. Hi Barbara, you’re right about the military line. It was one of a few military railways in Singapore. To contribute to users of the Green Corridor, I’ve created this Google Map that allows people to zoom in and easily plan how to access and exit. We recently opened Byx. a bike shop at BT nature reserve just a step from the green corridor descent to Hindhede rd. Would be great if you add our spot as a meeting point, service station for bikes, bike parking and a refreshment station for riders using the green corridor. It shows easy access points, crossings with park connectors and obstacles along the way. It’s frequently updated by an avid user of the corridor.